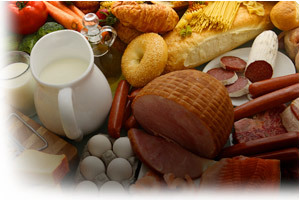 Grocery Industry | ABC Customs Brokers Ltd. Importing grocery items can be costly and complex. ABC Customs Brokers has over 55 years of experience in the grocery industry which will serve your company well when importing grocery items. We will work with you and your staff to reduce shipment delays at border ports, airports and seaports. Electronic Data Interchange (EDI) and software based solutions to expedite communication, reduce data input delays and errors. Working with carriers to assist them in expediting the customs release process on shipments entering the country. Tariff rate quotas can apply to dairy, wheat and meat imports. Duty rates in excess of 200% can be applied to your imports. Contact us to determine the duty rates and import permit requirements in order to avoid this.